We are pleased to present a new Solo Travel Destination Post from Ayan, a member of the Solo Travel Society on Facebook. 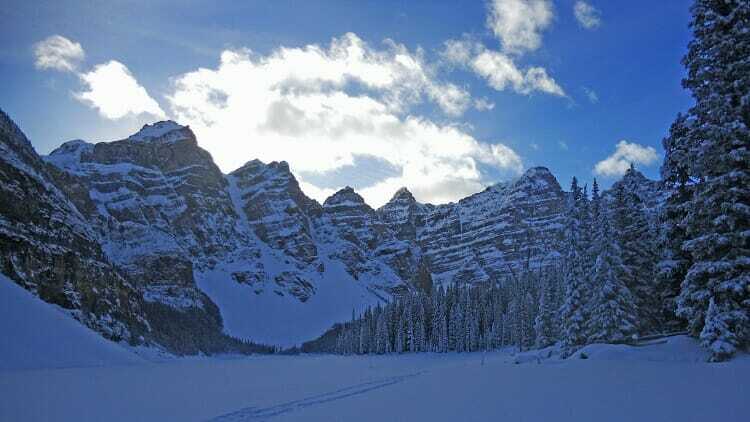 Ayan lives in Canada, and submitted the following report about the Rocky Mountains of Alberta in winter. Do you have a solo travel destination that you would like to recommend? Submit your description here, along with a few photos, and share it with fellow travelers! 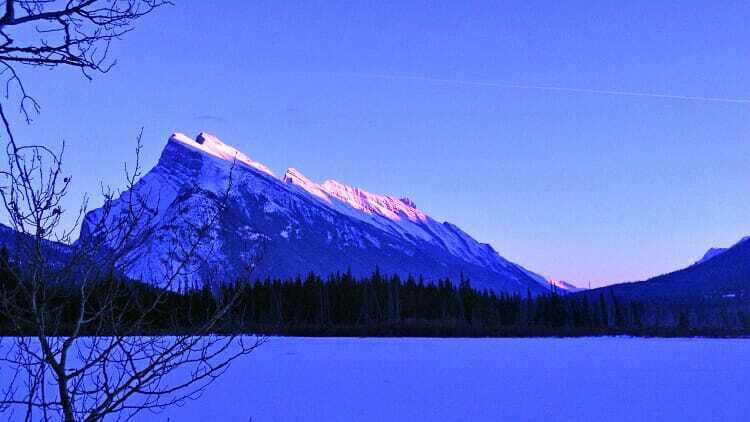 The Canadian Rockies are considered to be some of the most spectacular & scenic mountains in the world. Although the Rocky Mountains in Western Canada attract tourists mostly in the summer season, you will find amazing frozen beauty in the winter. It’s impossible to cover the whole Rockies in a single trip. However, in a reasonable amount of time, say, 10 days, you can explore some beautiful places like Canmore, Banff, Lake Louise, and Jasper. Even if you don’t have a car, there is regular public transportation in the winter months to these cities. 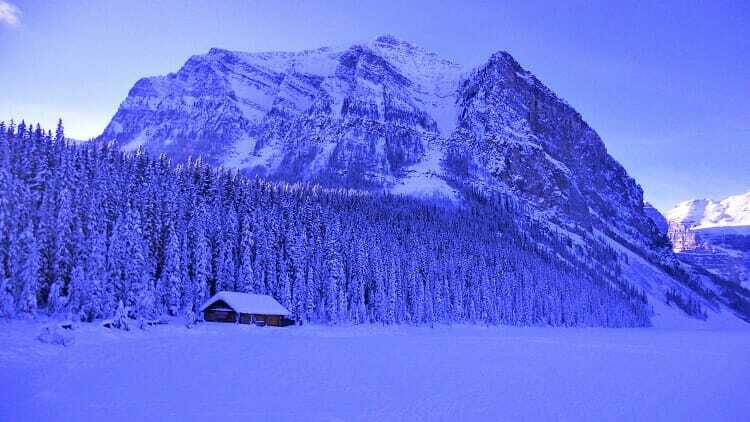 There are several strong reasons to visit the Rocky Mountains in winter. If you can tolerate extreme cold, you will certainly experience some breathtaking landscapes in the midst of frozen lakes, surrounded by snow capped mountains. Banff is a beautiful mountain town which is about 1.5 hours from Calgary. If you are interested in skiing, Banff will be a paradise for you. Hundreds of skiers from all over the world come to Sunshine Village in Banff for skiing in winter. Having a nice latte in a cafe downtown on a snowy evening can be really refreshing. The beautiful Banff Avenue looks like a street that goes straight and vanishes at the bottom of the mountain. It’s an an ideal place to hang around and browse in the quaint little shops. Do a hike through Tunnel Mountain Trail – a hike with a moderate difficulty level. From the top of Tunnel Mountain you can see the town of Banff and other snow-capped mountains around. After a scenic hike of 2 Km you can reach the frozen Vermilion Lakes. Standing on the frozen lake at the end of the day and seeing the last rays of the sun on top of the mountains can bring you a real feeling of solitude. Taking a bus to Sulphur Mountain and dipping into the hot water of Banff Upper Hot Springs on a chilly winter day can be really amazing. Canmore is a small town surrounded by mountains, which is about a 25 minute drive from Banff. Picturesque mountains are all around, especially the Three Sisters peaks. You can walk through the trail of Bow River, which is really beautiful. The snow covered valley and the semi-frozen river with the mountain peaks looks spectacular. Take your time to hike to Grassi Lakes or Cougar Creek. Situated about 60 Km from Banff, Lake Louise is a remote place. The downtown area has a few shops, but this is an amazing place to enjoy the wild beauty in solitude. If you do the 5 Km hike from downtown to Lake Louise through the snowy pine forest beside the road, you will be amazed. The frozen Lake Louise looks like a paradise. Take a walk to the end of the lake and see the plane of six glaciers. It is so picturesque. The iconic Fairmont Chateau Lake Louise Resort Hotel just beside the lake is a UNESCO World Heritage site. It looks beautiful from the other side of the frozen lake with the mountains in the background. You might see some snow sculptures there. One of the greatest attractions of Lake Louise is Moraine Lake. Although the road is closed in winter, you can reach there by cross country skiing. Make sure that you are strong enough to cover the 28 Km return trip from downtown through the snow. If you can, it’s worth pushing yourself beyond your comfort zone to reach the frozen lake at the Valley of Ten Peaks, which you may recognize from the old Canadian $20 bill. Jasper is a cute and picturesque remote mountain town, situated about 230 Km from Lake Louise. Take a tour to the frozen Maligne Canyon. There are incredible ice formations inside the canyon, a stunning combination of transparent, blue, and rock hard ice. 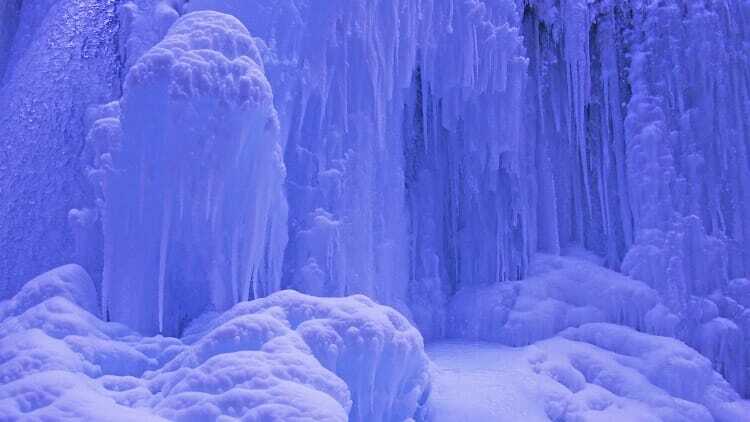 You may be lucky to see some ice climbers climbing the frozen waterfalls there. A drive or hike to Pyramid Lake will be really scenic. Walk from Pyramid Island through the frozen lake, with Pyramid Mountain in the background. A few minutes of walking can take you to Patricia Lake. Jasper has many hiking trails and several lakes including Medicine Lake and Maligne Lake. There are chances of seeing wildlife around, as well. If you are really lucky, you can witness the Northern Lights in the winter months too!